At its weekly Tuesday meeting, the five-member, all-Republican Washington County commissioner board led by five Republican men voted unanimously to appoint the chairman of the Washington County Republican Central Committee, Jerry DeWolf, to chair a nonpartisan Board of Education vacancy search panel to replace the recently-expelled Washington County Board of Education member Karen Harshman. 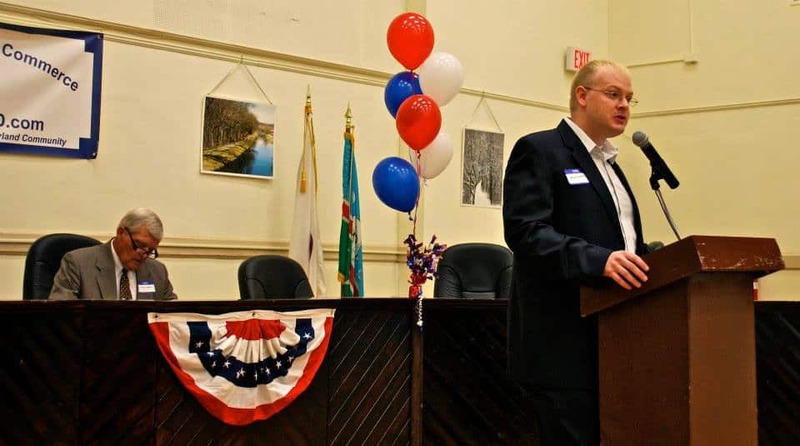 Mr. DeWolf, who is currently the chairman of the conservative Washington County Republican Central Committee, the same committee responsible for the appointments of four local Republicans – Andrew Serafini, William Wivell, the late Vincent G. “Woody” Spong and Wayne Keefer – to higher office since the early months of 2015 is stepping into the role of chairman of the nonpartisan Board of Education search panel without any prior education experience. Mr. DeWolf is a relative newcomer into the Washington County Republican apparatus. 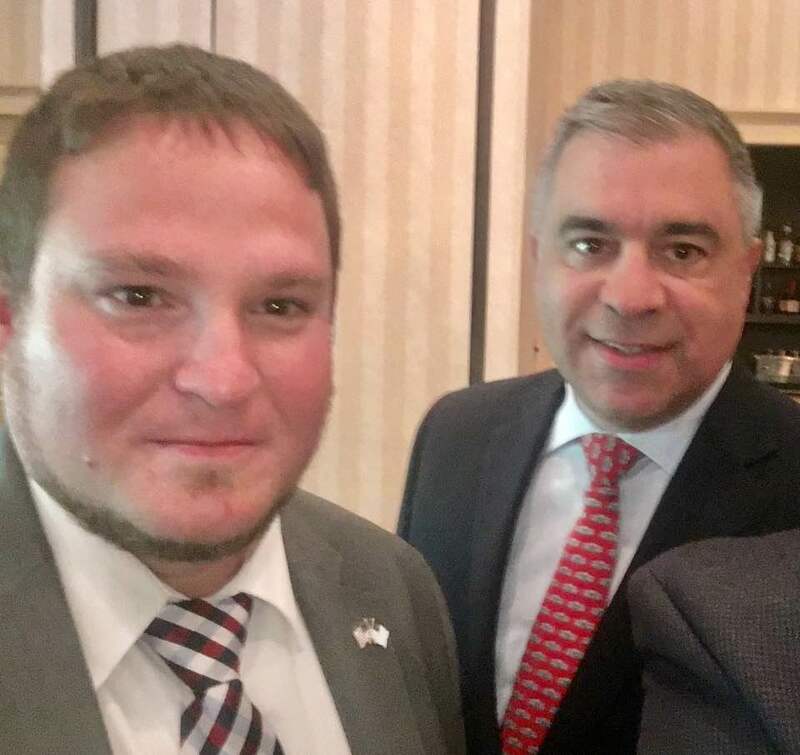 In 2014, Mr. DeWolf, a relatively unknown Keedysville resident, was tapped by Dan Bongino – a now three-time losing Republican congressional candidate who hosts a podcast from his Florida home – to serve as his Washington County congressional campaign coordinator. Mr. Bongino was defeated in the 2014 general election by Democratic Rep. John Delaney. Shortly after Mr. Bongino lost his bid for Maryland’s 6th Congressional District, Washington County Commissioner’s President Terry Baker settled on his own run for Congress in the heavily gerrymandered 6th district, tapping Jerry DeWolf, then only an associate member of the Washington County Republican Central Committee, to manage his unsuccessful campaign. Mr. Baker’s congressional bid was shattered on Tuesday, April 26, 2016, when he was defeated in the Republican primary by Amie Hoeber, a Potomac resident who heavily outspent the other seven Republican primary contenders. Last fall, DeWolf created a public Facebook page aimed at attacking former Board of Education President Donna Brightman. DeWolf masked his identity but later outed himself as the creator of the page on his personal Facebook page. 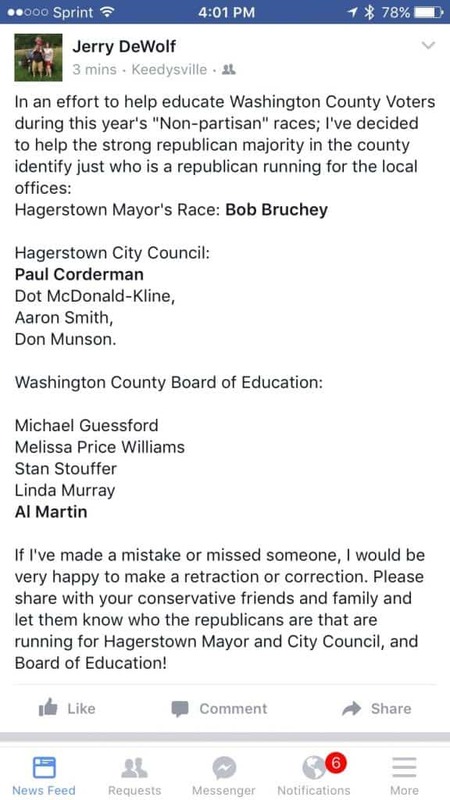 DeWolf also used the page to attack Hagerstown City Councilwoman Emily Keller, current Board of Education member and search panel appointee Pieter Bickford and former Hagerstown Mayor David Gysberts. 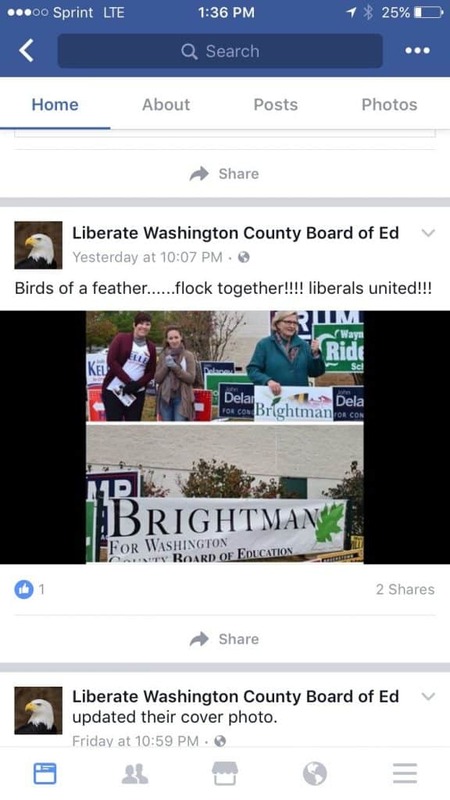 In the final week leading up to the November 2016 general election, it was widely reported by multiple members of the Washington County community that DeWolf verbally accosted Donna Brightman at the early voting center and later took to his personal Facebook page to mischaracterize the exchange. Witnesses said that DeWolf loudly and harshly accosted Brightman multiple times standing at the early voting center while handing out literature to incoming voters. According to one source with a familiarity of the BOE search panel selection process, Commissioners’ President Terry Baker heavily lobbied the other four commissioners to appoint DeWolf, his former congressional campaign manager, to chair the six-member panel. Some commissioners, however, called into question DeWolf’s ability to remain nonpartisan, demanding DeWolf not engage in any blanketly partisan lobbying as the sitting chair. According to another source familiar with the commissioner’s search panel selection process reported that Mr. DeWolf was heavily warned not to submit only one name to the commissioners for an appointment, but rather three qualified names. DeWolf was also warned not to list the names in order of preference but rather in alphabetical order. 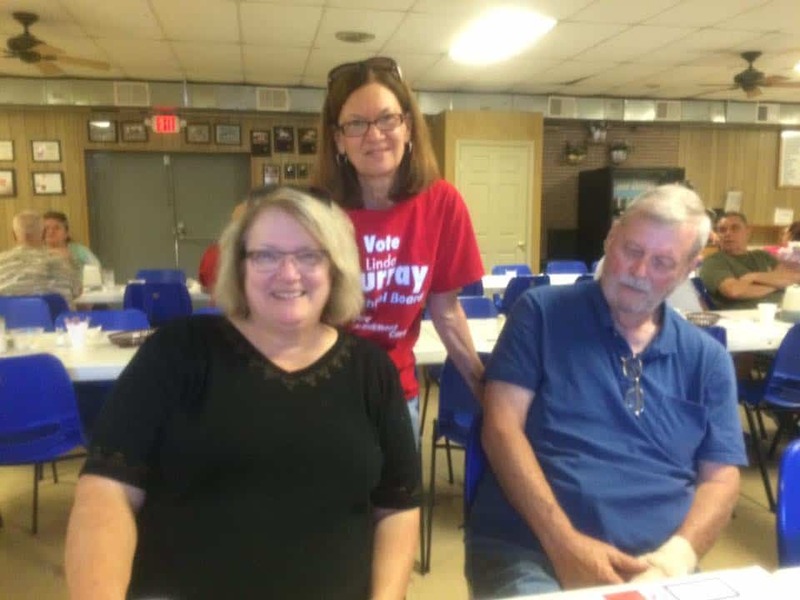 It has also been heavily rumored that Mr. DeWolf, Commissioners President Baker, and Commissioner Keefer are peddling Republican Club officer Linda Murray, a defeated 2016 Board of Education member, to fill the vacancy on the Board. According to several sources, Commissioners Baker and Keefer are working in overdrive to dispel any hint of favoritism in the selection process. As reported by several Washington County community members, Baker and Keefer personally phoned Al Martin, a former Board of Education candidate who has said publicly that he will apply for the vacancy, to ensure him that the selection process will be fair. Since DeWolf’s appointment as chairman, several Washington County community members have called into question his credentials to lead the nonpartisan Board of Education search panel. Given Mr. DeWolf’s scant record of education activism and his lack of business and philanthropic experience in the Washington County, community members wonder if DeWolf is capable of understanding the overwhelming complexities of the school system and the core responsibilities of an elected school board member. 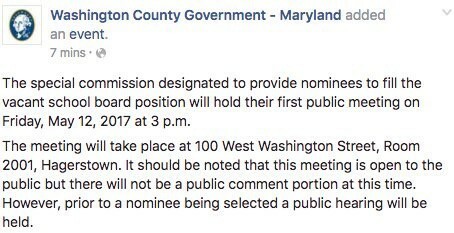 Washington County’s Facebook page reports that the search panel’s first meeting is scheduled for this Friday, May 12, at 3:00 p.m. at 100 West Washington Street, Room 2001, Hagerstown.